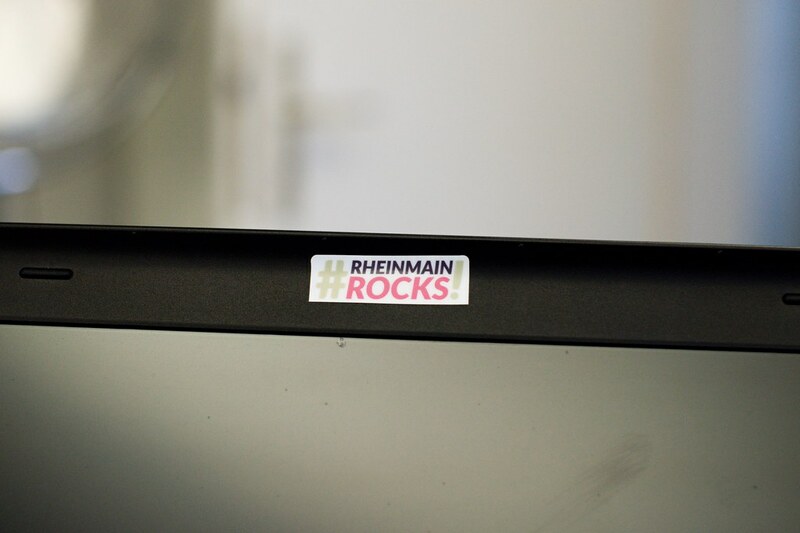 Here they are: the totally inofficial #RheinMainRocks sticker. 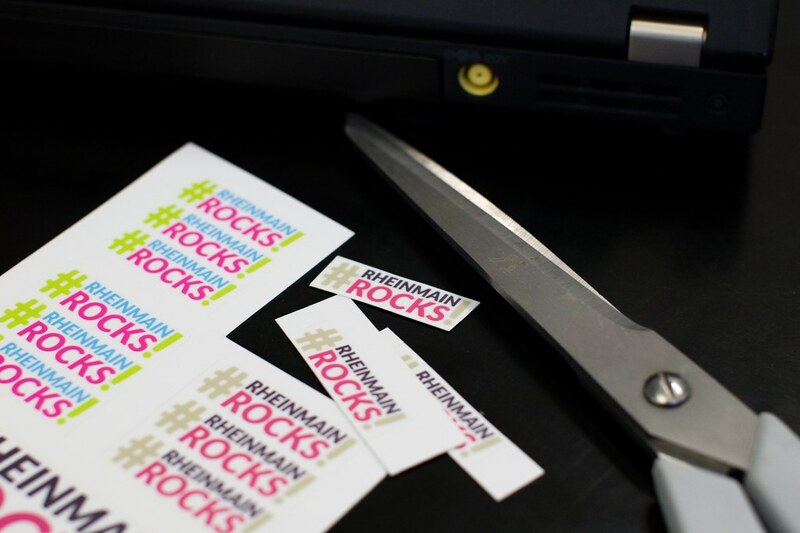 Back in March I started the project over on community.rheinmainrocks.de and after a design contest, a longish startnext campaign for which I even had to record a video. 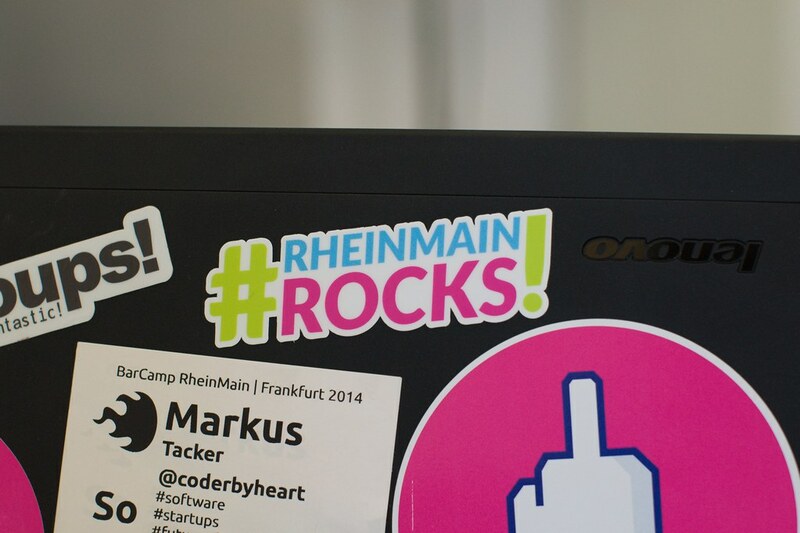 They'll start showing up in the RheinMain area in the coming days. 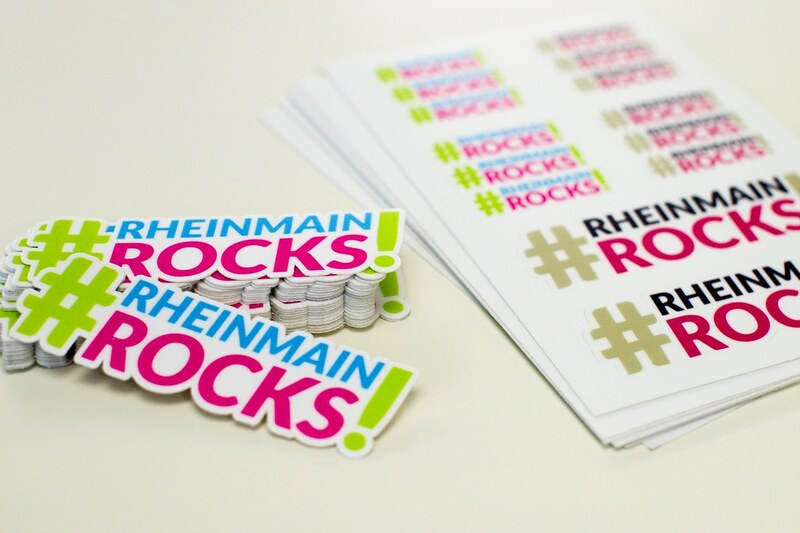 Our awesome backers will receive them on the Google I/O extended in May and the WMFRA in June accompanied by a little gift I was able to add to the package because … #RheinMainRocks! There is a flickr album which shows them in all their glory. 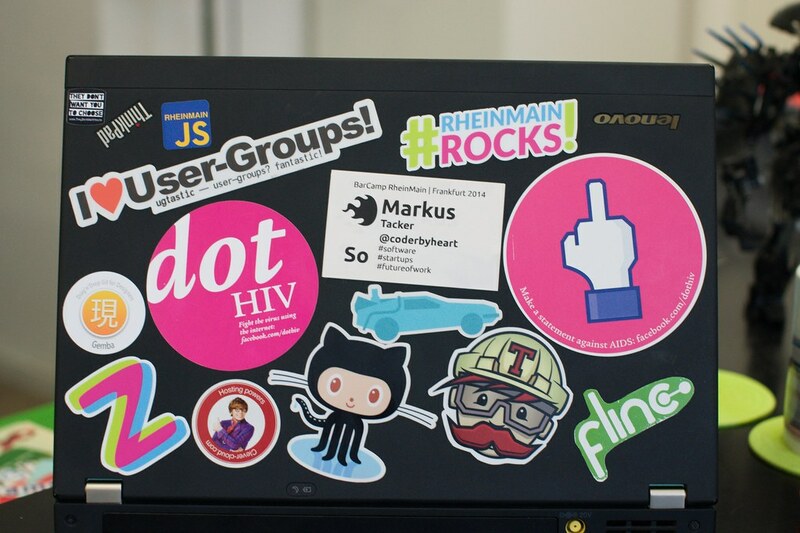 The backers will receive a complimentary sheet with a different color version and smaller versions.